Should clean, fresh water and air be valued in the same way as gold and diamonds? Few would argue that that they are any less valuable, but the debate around placing a monetary value on nature continues. The traditional framing of the issue is a choice between accepting the power of markets and ‘playing their game’ to win environmental concessions vs. the purist perspective of saying No to any hint of money or markets in environmental policy. In this article we will describe the positions of two relatively new fields of study—Ecological Economics and Political Ecology—in an effort to redefine the terms of the choice and chart a path for a pragmatic approach. A deep schism has emerged within the environmental movement in recent years. While some NGOs discuss full-cost pricing at the World Water Forum and carbon trading at climate summits, others are organizing alternative forums with slogans such as ‘Water is not a commodity’ or ‘Our climate is not for sale’. Two relatively new fields—Ecological Economics and Political Ecology—contain insights that can help to bring the two sides together. 1. Because ecosystems are highly complex and interconnected, their value cannot be compressed in a simple metric or broken into monetizable parts. There are critical species and systems that escape human attention and may be undervalued (or not valued at all), and independently of what humans may or may not value, there are species or resources without which ecosystems cannot be sustained and for which there are no adequate substitutes. 2. There are relevant languages of valuation other than those expressed in monetary terms. This is because there are multiple rationalities other than utilitarianism—such as consequential, rights-based, and procedural rationalities—through which humans choose courses of action. 3. There is no unique value for environmental goods and services independent of the distributional and institutional settings within which such values are expressed. Initial entitlements matter, such as whether one has the right to be compensated for environmental damage. Each leads to very different valuations and outcomes. 4. Social processes of valuation, including monetary valuation, are ‘value articulating institutions’ (VAIs). These are frames invoked in the process of expressing values that influence which values come forward and which are excluded. People exhibit different preferences depending on the socio-institutional environment in which they express them. Based on these theses, ecological economists make a plea for plural values and plural VAIs, and they complement this with a methodological mission to develop new VAIs with increased potential to accommodate ‘motivational plurality’. PE starts from a very different vantage point: The focus is not on particular practices of valuation, but on understanding how capitalism works, how it affects human and non-human nature relationships, and why and how, under capitalism, there is a drive to reduce all forms of value and valuation into monetary (exchange) values. Starting from Marx's Labour Theory of Value, a key insight concerns the inherent drive of capitalism to invent new outlets for accumulation. This often takes the form of making new commodities through which capital can be circulated out of things that were previously subject to different logics (e.g. caring or ecosystem functions.) Expanding commodification, therefore, is a structural tendency of capitalism. Commodities, markets and money also existed in pre-capitalist societies; however, it is only societies organized around wage labour, on the one hand, and capital-holders, on the other, that tend to reduce the value of all things, people and social relations to monetary value. Privatization of public services (such as water, energy or transport), ecosystem services, intellectual patents in genes and life-forms, land-grabs and health care are all instances of ‘accumulation by dispossession’. Assigning a monetary value to an ecosystem feature is necessary if it is to be exchangeable and tradable; but commodification is not just about setting up new institutions that render certain things ‘tradable commodities’. It involves a range of complex cognitive, analytical, discursive, political, institutional and material devices reshaping human-nature relations. These range, for example, from laws and treaties defining water as an economic good to contested scientific methods for categorizing and valuing water flows and rights. Monetary valuation techniques, such as ‘willingness to pay travel cost’ or even more innocent concepts such as ‘ecosystem services’ and the like are not neutral categories. They frame the society-nature relationship into one of utility and exchange, prefiguring commodification as a reasonable response. Nature is in fact often ‘uncooperative’ to commodification. For example, the fluidity and temporal variability of water or the spatial differences of wetlands defy separation into measurable, tradable and exchangeable entities. Such limits and contradictions—which are well revealed by the methodological work of ecological economists—offer opportunities for social struggles and for changing the course of institutional change. For example, the case with the re-regulation of the water industry following the commodification and privatization of water in England. So, what can we take away from the two bodies of thought? First, that monetary valuations are not isolated phenomena, but part of broader commodification processes that involves symbolic, institutional, intellectual, discursive and technological changes that reshape the ways humans conceive and relate to nature. Second, that there are bio-physical, political and ethical limitations to monetization, which in turn put obstacles to commodification (EE’s contribution), which in turn open up opportunities for opposing and re-regulating resources at stake (PE’s contribution). ‘Value pluralism’ is not only an ethical but also a political stance, which requires political action to oppose undesirable commodification and make sure that plural values and institutions exist and proliferate. 1. Will it improve the environmental conditions at stake? 2. Will it reduce inequalities and redistribute power? 3. Is it likely to suppress other languages of valuation and value-articulating institutions? 4. Will it serve processes of ‘enclosure of the commons’? Criterion 4 requires some explanation, since it is derived from PE insights. With respect to this question, an environmental economist could argue that there is nothing a priori wrong with enclosures and commodification if it serves to improve economic efficiency. The starting point here, however, is that continuous economic and metabolic growth is incompatible in the long-term with ecological sustainability. Since capitalist expansion is intrinsically related to growth, processes that further capital accumulation and expand capital to new realms will more than likely degrade environmental conditions in the long-term and on aggregate. Second, from an egalitarian perspective, the processes of enclosure of the commons that are often involved in commodification are fundamentally unjust. A good that was accessible without discrimination to all members of a community becomes something that is preferentially accessed on the basis of individual purchase power. Third, there are intrinsic qualities in human relations such as love, friendship or hospitality, and in contacts with the non-human world, that deteriorate when they are mediated by—or assumed as substitutable by—money. Question 4 calls also for a judgment over what some have called ‘the tragedy of well-intentioned valuation’. Whereas commodification requires valuation, the inverse is not always true: valuation does not necessarily lead to commodification. The tragedy is that often scientists and environmentalists engage with monetary valuations to improve environmental protection, but end up doing the work for a commodification that eventually degrades the socio-environments at stake. It is difficult to know if a specific valuation is subject to this tragedy. Framing ecosystems as ‘providers of services’, for example, does not necessarily preempt their commodification and enclosure. Until recently, public good services were considered a State responsibility, off the limits for private enterprises. In this sense, question 4 calls for judgment and awareness of the political-economic context within which a monetary valuation takes place, and in particular its relation to concrete neo-liberal projects of enclosure. Full-cost pricing for water would entail charging users the full economic cost of the end-product they consume, including external costs to the environment, or externalities, which are currently unaccounted for. Since the early 1990s, international bodies such as the World Bank and the World Water Forum have been promoting full-cost pricing in the name of economic efficiency and environmental conservation. Paying more, they argue, will make users consume less. How does valuing water in monetary terms fare according to our four criteria? First, although conservation benefits of full-cost pricing are likely to be positive in most cases, this will much depend on the structure of tariffs and on how and where money is reinvested. There is evidence suggesting that given the low price elasticity of water, moral norms may be important for conservation, but these deteriorate once prices receive prominence. Also if the higher prices translate into profits for private utilities, these may be reinvested to further growth, which would offset any environmental benefits (a ‘rebound effect’). Second, full-cost pricing is likely to be socially regressive. Poorer households would be more vulnerable to rises in the cost of basic services such as water, compared to wealthier ones for which water costs would remain a miniscule part of the household budget. Third, other factors equal, the commodification of water through full-cost pricing privileges its economic dimension over alternative values of water (social, ritual, symbolic, ecological) and turns a public good into a private consumption good, shifting the weight for its regulation from state or communities to market forces. Fourth, politically-speaking, such shifts in the water sector are regularly part of the neo-liberal push for the privatization of public services often promoted in the name of economic efficiency and environmental protection. Full-cost pricing is a prerequisite for making water provision profitable to private businesses, more so as it disconnects the financing of water from the whims of the State. We believe the Alternative Water Forums are right to oppose the commodification and privatization of water. However, statements like ‘water is not for sale’ may be misleading if interpreted literally. While rain falls free of cost, drinking water is an industrial product and has economic costs, and these costs can be recovered by tariffs, taxes or debts. How they are recovered and who pays how much is a political question of distribution. 4. Subsidies or redistributive tariffs secure access by the poor to the necessary quantity of water for a context-defined dignified standard of living. These four criteria ensure that environmental conditions stand to benefit, the policies are clearly redistributive and egalitarian, and multiple forms of valuation are maintained—through, first, deliberative allocation of investments and second, subsidies that are decided upon following social and ecological criteria beyond narrow economic logics. My colleagues and I are in favour of partial monetary valuation of water under these circumstances, as is the Alternative Water Forum movement. By extolling pragmatism, I don’t mean ‘accept that we live in a market society and, like it or not, we must play by its rules’. Instead, I mean that while radical systemic change is necessary for sustainability, it may come about through intermediate transitory actions, free from absolutist dilemmas. In the end, a dogmatic stance against any monetary valuation of water makes little sense. 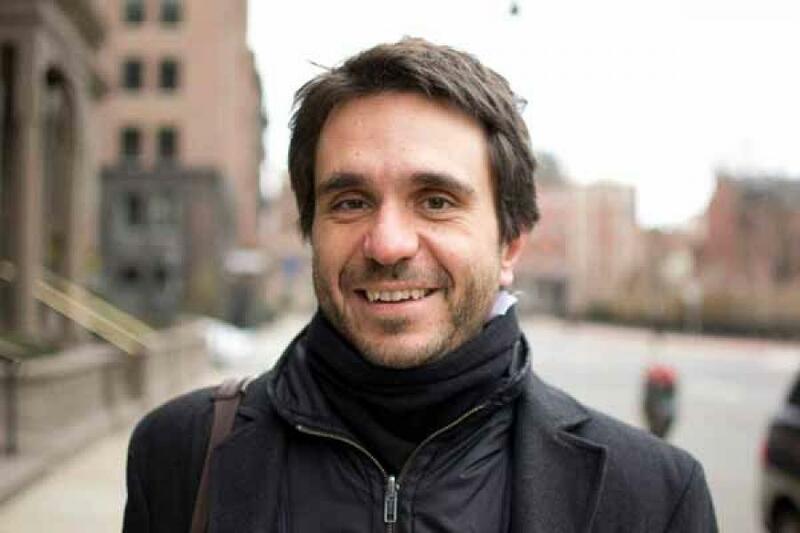 Giorgos Kallis is the ICREA Research Professor at Universitat Autònoma de Barcelona. Previously a Marie Curie International Fellow at the Energy and Resources Group of the University of California at Berkeley, he holds a PhD in Environmental Policy and Planning from the University of the Aegean in Greece. The full paper on which this is based, co-written with Erik Gómez-Baggethun and Christos Zografos, can be searched and downloaded online. The research for this paper benefited from the EU Marie Curie ITN grant.